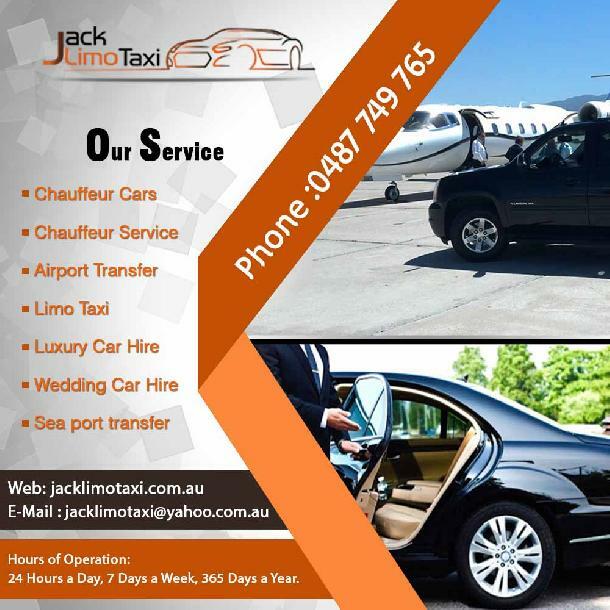 The professional and friendly chauffeur of Jack Limo Taxi has been providing Chauffeur services in Melbourne for many years. The expert chauffeur teams are well aware of all the routes and they always go an extra mile to ensure that their clients are happy and satisfied with the service. If you are looking for experienced and trained Melbourne Chauffeurs then you can get in touch with them and book the Melbourne chauffeur car of your choice, need and purpose. Providing exceptional chauffeur services and exceeding the expectation of their clients is what they aim and always strive for. Hours of operation: 24 Hours a Day, 7 Days a Week, 365 Days a Year.